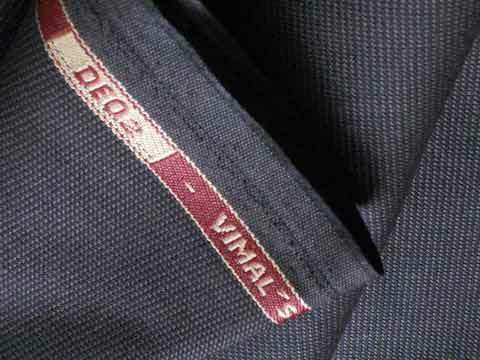 One of India biggest conglomerate, Reliance Industries, expects a two-fold hike in sales from its textile brand Vimal. The company believes that the sales to cross 1,800 cr mark in the coming 3 years and will cement itself as a youth-oriented fashion label in the country. In order to connect with GenY for its ready-to-wear segment besides fabrics, the brand has roped in some of country’s young entrepreneurs and startup heads. The multinational firm has planned to infuse around 350 cr in the next 3 years to uplift its textile production capabilities to 25 million meters a year from 20 meters per years as of now. After coming up with its Spring Summer collection, the company now aims at increasing Vimal exclusive store count to 150 in 3 years from 50 at present. Vimal is currently focusing in East Indian states such as Bihar and West Bengal. "These will be a mix of company-owned, franchise and shop-in-shop in Reliance Trends stores,” said Bhandari. The company has roped in entrepreneurs such as Zify Founder Anurag Singh Rathor, iD Fresh Food Co-founder Musthafa PC, Bankbazaar Founder Adhil Shetty, Local Banya Founder Karan Mehrotra and Chumbak Founder Vivek Prabhakar and has planned to run aggressive ad campaigns featuring the above mentioned business executives. Vimal has been focused towards research and development and has an anti-microbial technology called DEO2 that is suitable for the ‘tropical Indian market”.